Central Pollution Control Board (CPCB) scientist Aditya Sharma, who oversaw its roll-out, said the Prime Minister's Office (PMO) was behind the project, something which the Delhi government had also envisaged in the past but never executed. New Delhi: LED panels in major traffic intersections in the national capital now display hourly air quality index and health advisories under a CPCB project which will soon cover the metro stations as well. "Fifty traffic signals have been selected in the first phase of the initiative. We have covered the major signals such as ITO, the ones in Connaught Place, for now," Mr Sharma said on the sidelines of a CPCB conference on air quality and waste management. The panels display hourly AQI readings and the associated health advisories. An AQI between 0-50 is considered Good, 51 -100 Satisfactory, 101-200 Moderate, 201-300 Poor, 301-400 Very Poor, and 401-500 Severe. Each category comes with its own advisory. In case of moderate, it warns of breathing discomfort to people with lungs, asthma and heart diseases, while severe means the air quality is so bad that it might affect even healthy people and seriously impact those with existing diseases. The CPCB has not put up separate panels for this purpose but using the existing display boards of traffic police where short video clips on road safety are played usually. CPCB's air quality laboratory chief Dipankar Saha said the apex pollution regulator was in talks with the Delhi Metro Rail Corporation (DMRC) and major hospitals in the city to put up similar panels. Information dissemination is also one of the components of the Centre-notified Graded Response Action Plan (GRAP) on air pollution, which is enforced by the Supreme Court- mandated Environment Pollution (Prevention and Control) Authority. Meanwhile, the CPCB has directed the state pollution control boards of Delhi and NCR states to intensify pollution mitigation efforts in the region in view of the ASEAN summit starting tomorrow. Last month, a CPCB-led task force had recommended closure of all coal-based industries operating in the Delhi-NCR region for a fortnight, beginning January 15, to contain air pollution during the summit. 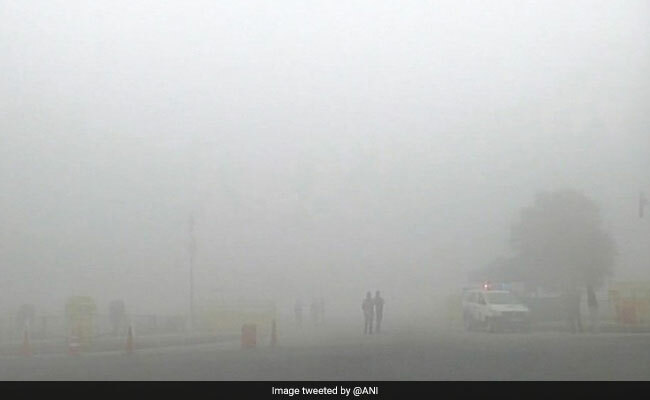 High Wind Speed Improves Delhi's Air Quality To "Satisfactory"